I’ve finally settled in to my current equestrian identity: Trail Rider. Aboard my trusty steed Wally, I’ve explored all sorts of trails—from urban bridle paths to abject wilderness—with a sense of zeal and wonderment. The one aspect of trail riding that I haven’t yet mastered is choosing an appropriate trail riding partner. While I have a couple of gal pals who are proficient riders with an innate sensibility regarding safety, there are still times when I make a mistake. I’ll encounter a casual acquaintance and accept her invitation to trail ride. Though she seems sane and rational, once the trail ride is underway she turns into a reincarnation of Annie Oakley with an apparent death wish. 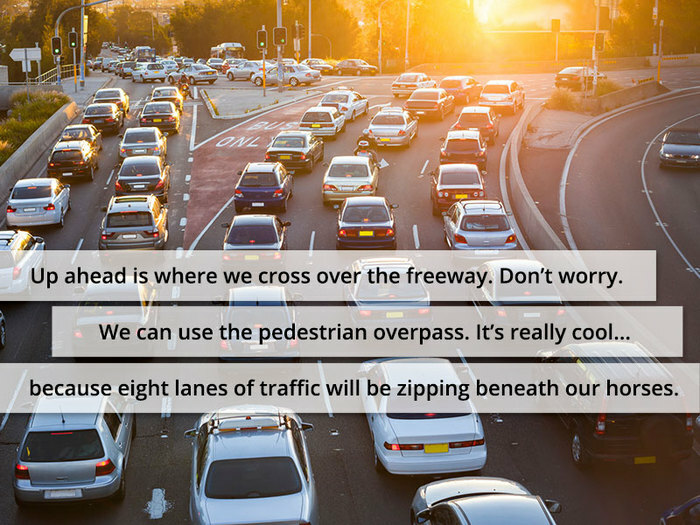 On those days, Wally and I consider ourselves lucky to survive unscathed. I’ve combined moments from those misadventures with my own brand of horse humor to create the following list. 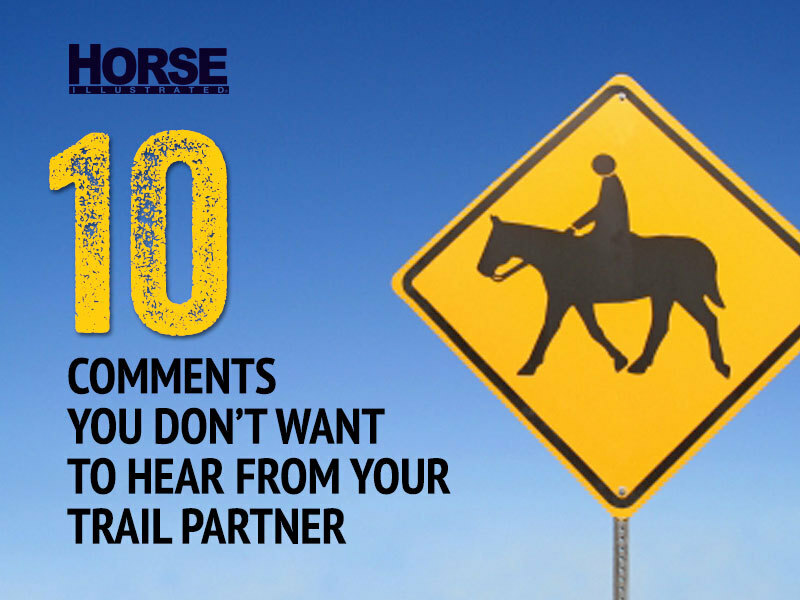 Whether you’re trail riding in town or through open country, these are statements and observations you really don’t want to hear from your companion. 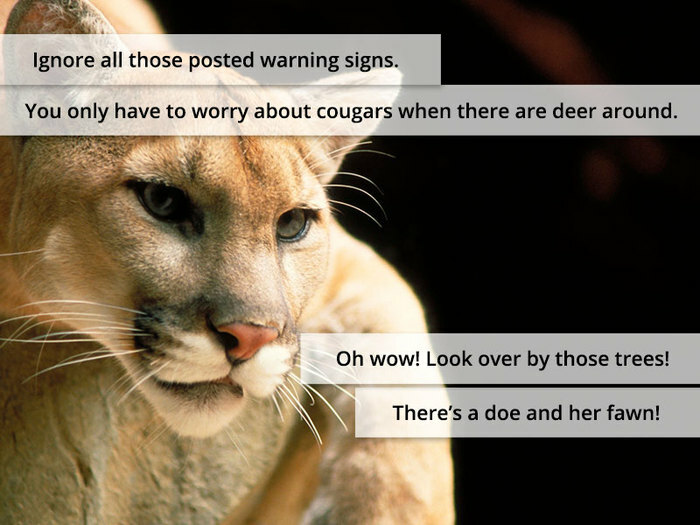 I hope I made you laugh, and also think wisely about your trail riding partners. 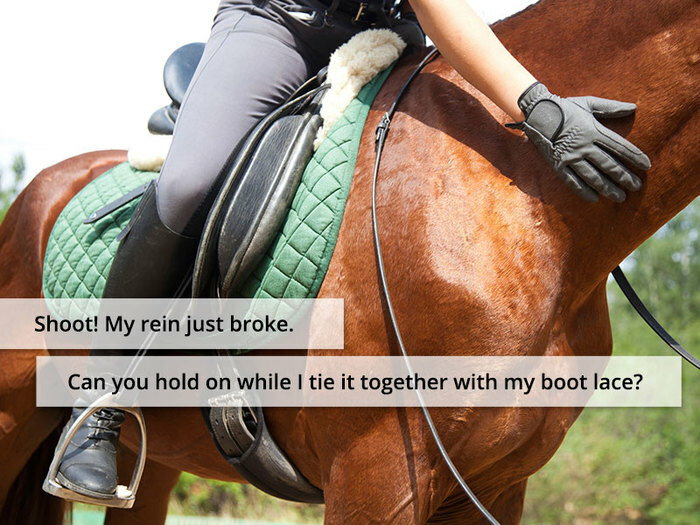 If you’d like to leave a comment or share a brief story about a trail ride gone wrong, I’d love to read them. You sound like the kind of rider with whom I would love to trail ride. 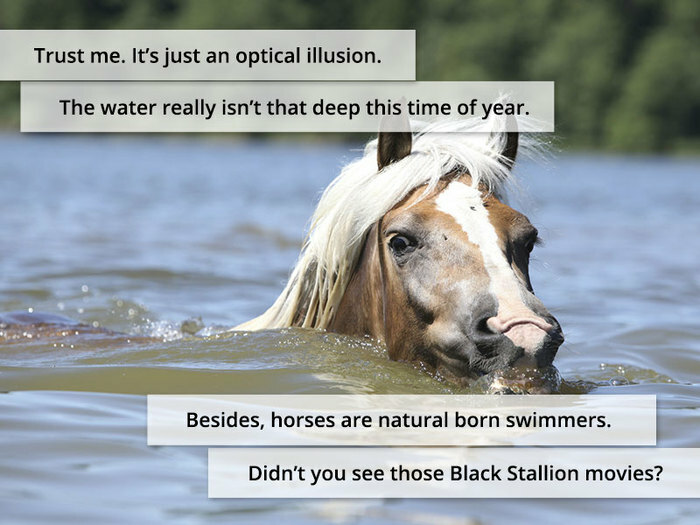 No surprises from me… I just need to find a horse! 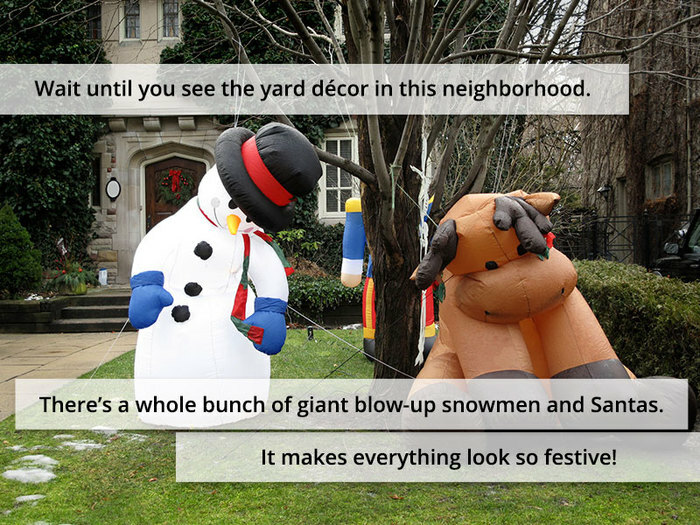 I love your humor and writing style! I miss your blog so much! 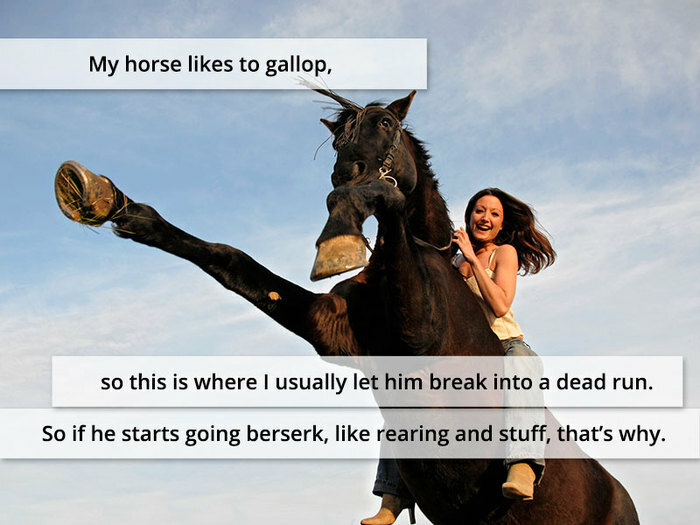 Here’s one I encountered…”Oh, I hope you don’t mind but I always let my horse gallop back to the barn. He loves it!” Needless to say, she had to sell that horse a few months later because she could not get him to leave the barnyard! I hate to admit it…but I am the crazy trail rider who swims the river and climbs the mountain and ignores the two camels in the neighbor’s yard. I have ridden and driven my horses through the Taco Bell drive-thru and at the shopping mall at Christmas time. I used to drive a horse-drawn cab in rush hour traffic on Saturday nights. The one person who will go trail riding with me any time is legally blind and has brass ovaries. The only time I have been seriously injured riding I was riding at home in an arena. Some people are dangerous to ride with because they are unsafe riders in general and can’t handle their horses if something unusual comes up, and you should always ride to the abilities of the least experienced rider in your group and be considerate, but if you’re a good rider and you have a good horse, go for it! I used to ride with someone who would blame me and my horse for his horse for spooking, rearing, dumping him then running back to the barn. Mind you, my horse never spooked, reared nor ran to the barn, although he would jump to the side while his horse did this crap. To this day, this guy is afraid to ride with me and my horse lol. I ride alone all the time, deer etc do not bother my boy. 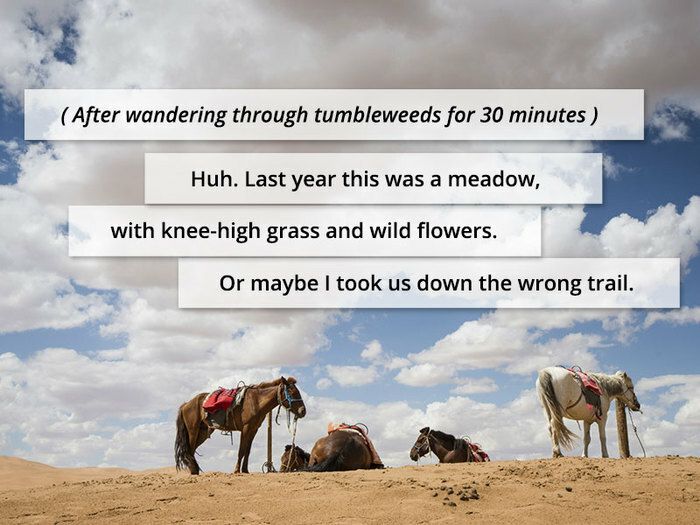 I have nearly everyone one of those thoughts….I just hope they are not the same ones, running in my horse’s head. Then we are in BIG trouble. hehe, I think I’m a bit more of the Annie Oakley type. I like a challenge on the trail and my horse feels my enthusiasm. Wanna come for a ride? My one friend is an eventer, and I’ll go on anything that’s challenging but not to dangerous. However, once we were on a logging trail with another friend and got lost, and the only way back was up an 80 degree path essentially up a cliff. She and I made it on our Arabians, but the Haflinger behind us took one look and said, “NO. 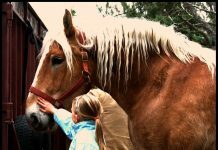 WAY.” I had to shimmy down on foot and lead the pony up while the girl riding him was crying. Stupid? Yes. Fun? For us, yes. This is great! Every picture made me laugh. That’s a great article so appropriate. Got some good chuckles out of it. Cindy Hale is always a good read. Was that a wasp nest? I’d go riding with you anyday, AND I’d let you pick where we go. My story is: Let’s stand on our horse’s backs and pick some wild grapes! It only worked as long as I gave my horse a grape for every one I picked!! 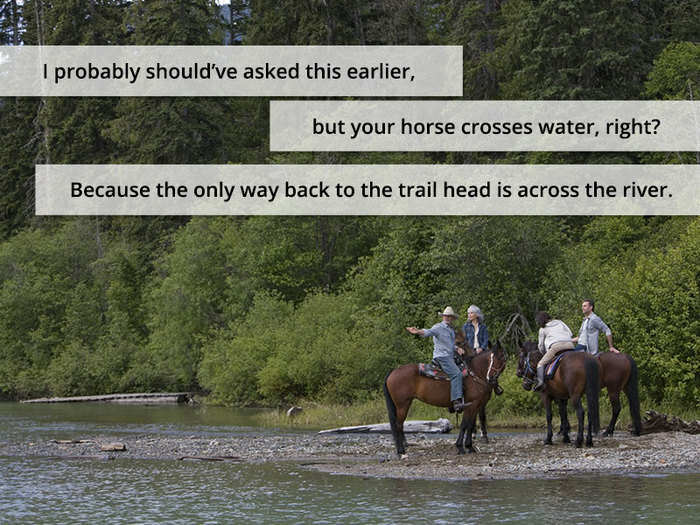 One time when my (ex)husband and I went trail riding on rented horses, he made the comment, “that’d be really neat if your horse took off and I’d have to rescue you.” Lo and behold, about 5 minutes later the horse did just that, and he was not stopping for anything-until we reached an access road that he slipped on, fell, and slammed me up against a fence, laying on my leg! Still have no idea what caused him to run. My friends and I have developed a list of questions we need to have answered before we ride with anybody. 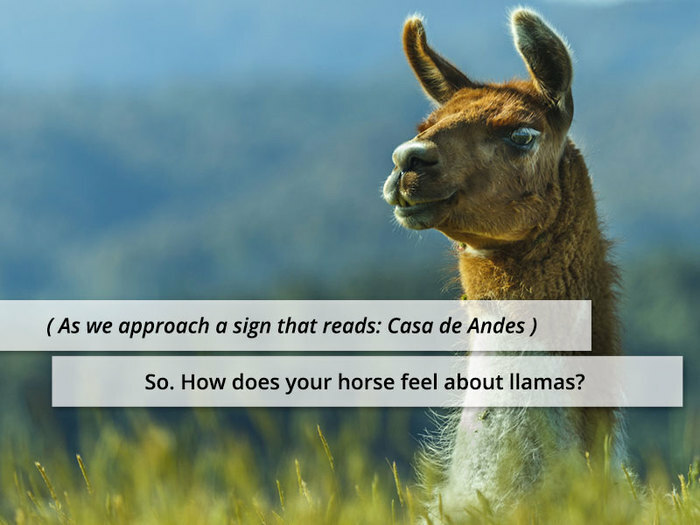 We’ve joked about making it an actual paper survey because when you’re already on the trail with somebody is NOT the time to find out that their horse ‘is scared of trains’, ‘jigs all the time, but I don’t want to trot’ or ‘I’ve fallen off so many times and broken so many bones’. That was all from one never to be forgotten trail ride which resulted in the person getting dumped and I had to chase her horse down and catch him after he bolted down the road. This is great! 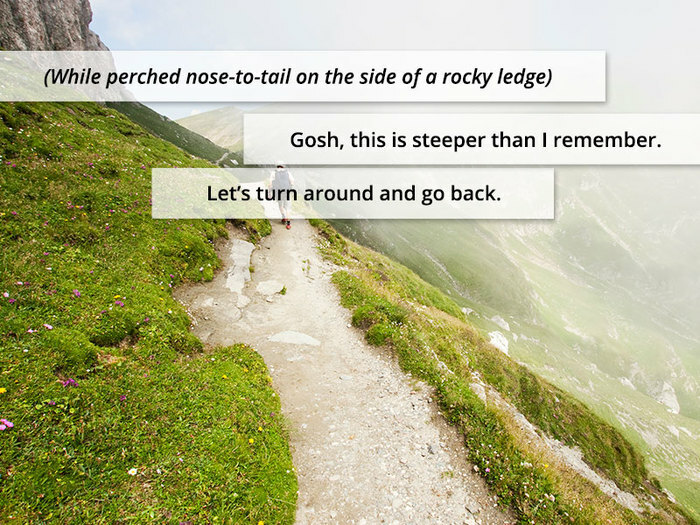 Reminds me of my trail pals, only they’ll tell you that I’m the one who’s crazy… I wonder where “that” path goes? I agree with the comment ride to level of the least experienced rider in group. It is rude to take someone out and run amuck because you can. People and horses get killed that way. Plus a horse and rider train best at slower trots and walking. I look to the way horses travel in their own time, running once in awhile and walking most of the rest of the time. Super great! But I never had a bad trail partner before and we mostly ride in the ocean (close to beach) or in the alpes so we are not going more than a canter for just a short time during the ride. Mostly walking & trotting, never around any highways,LOL! This makes me glad I don’t trail ride. I have heard about all of them! That is why I ride alone.